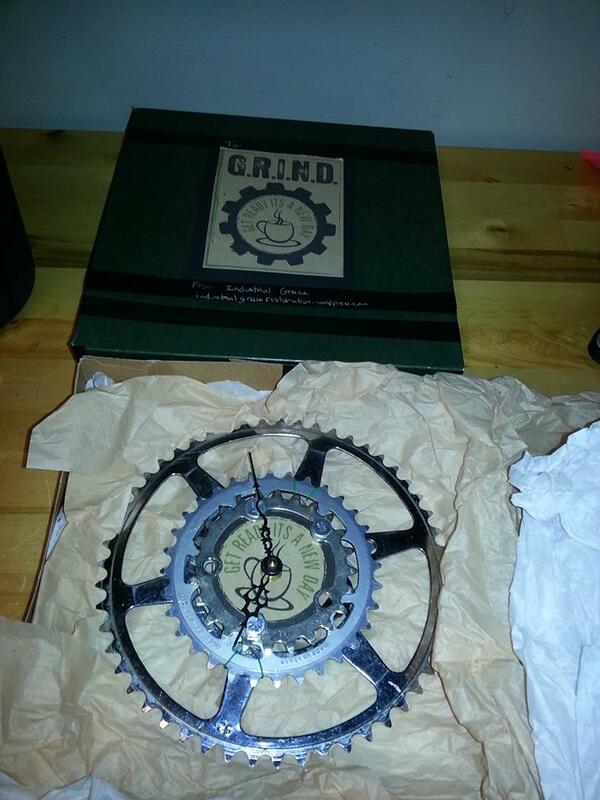 This clock was made for GRIND Cafe. They were very generous in photographing it, and posting about it here. The gears came from the good folk over at The Recyclery, while the inner workings were from a thrifted clock. GRIND is also the home of the wonderful Headstash Roasting Co coffee. I’ve been buying beans there, and now that they’re roasting their own I’m hooked. It’s great. Seriously. Go drink some. A cup of Kenny Fresh will blow your mind.